Arsenal remain interested in Nice midfielder Jean Michael Seri following the appointment of new head coach Unai Emery, according to Sky sources. Seri has an agreement with his club allowing him to leave if an offer comes in of £35m or above. What would Seri bring to Arsenal? He almost joined Barcelona last summer - when Arsenal's head of football operations Raul Sanllehi was working at the Nou Camp. 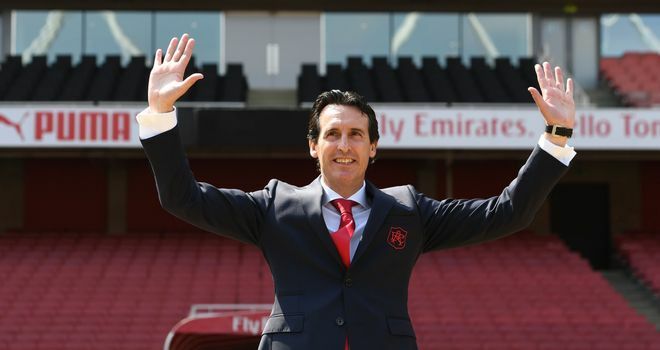 And Emery tried to sign Seri in January for Paris Saint Germain, but concerns over Financial Fair Play Rules meant the French club opted to bring in Lassana Diarra on a free transfer instead. Arsenal could be in the market for an extra midfielder this summer, having seen Santi Cazorla depart - after two seasons ruined by injury - while Jack Wilshere is out of contract and is not certain to sign an extension. And Seri is an Ivory Coast international with 18 caps. He has made 30 appearances in Ligue 1 this season and scored twice, as Nice finished sixth. John Barnes provided Watford fans with some half-time entertainment on Tuesday by doing his famous rap from 'World in Motion'.